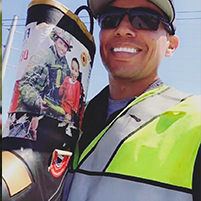 For more than 65 years, Fill the Boot has been a strong fire fighter tradition – giving families with muscular dystrophy in hometowns across America hope for the future and support for today. 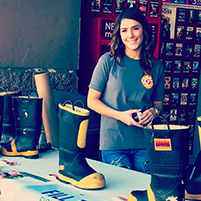 For more than 60 years, our members have been working hard for MDA, filling the boot on behalf of this great charity. They know that what they do truly makes a difference in the lives of so many. Until there is a cure, we plan to continue the partnership. 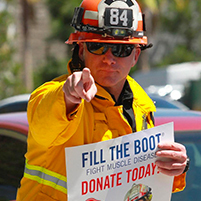 Fire fighters have played a major role in funding research for muscular dystrophy and in the last year, three promising new drugs received FDA approval. These centers are held at top hospitals and health care facilities, giving families access to best-in-class doctors and specialists without having to travel long distances. 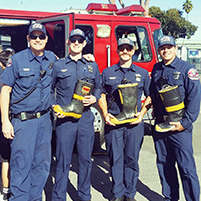 Each year, the money you raise through Fill the Boot helps give more than 3,800 kids a life-changing week at MDA Summer Camp, at no charge to their families. 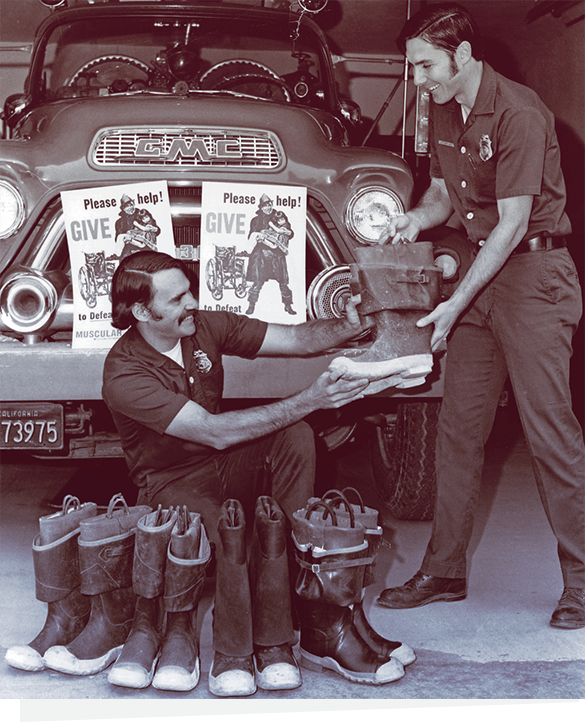 Since 1954, IAFF has supported MDA with unwavering drive and relentless passion. Because of your support, three new drugs for neuromuscular diseases have been recently approved, and more are expected in the next five years than in the past five decades. These treatments are life-changing for MDA families where walking, talking and even breathing can be difficult. This could not have been done without IAFF fire fighters like you. 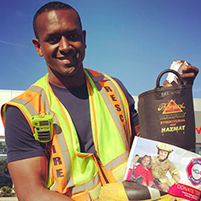 We’re proud to have the IAFF as our largest national partner and are thankful for the thousands of fire fighters who have participated in Fill the Boot drives across America, as well as those who have volunteered countless hours at MDA Summer Camps. 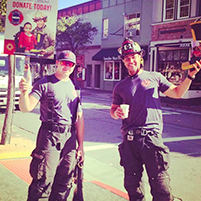 And until a cure is found, we’ll be filling those boots together. 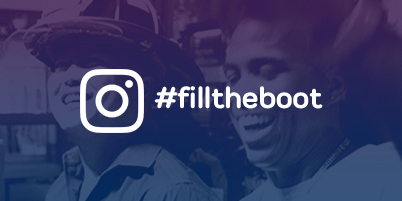 This site built in partnership with the International Association of Fire Fighters.